Led Zeppelin are set to reissue their 1975 double LP Physical Graffiti February 24th, which will feature unreleased versions of the album's songs. All the tracks have been personally remastered by guitarist Jimmy Page. The fourth track from the record,"Houses Of The Holy," has just been made available to stream. Listen to it above. The song pretty much remains the same (had to say it), but it's noticeably more raw than the album version. This "Rough Mix With Overdubs" has Jimmy Page's guitar sounding warmer and more natural with less effects, and it's mostly panned to the right speaker. John Bonham's drum mix captures the sound of the room a little more than the original version, and also has a more prominent cowbell. Page also makes some of Robert Plant's harmonies more present and up front. Jimmy Page told Rolling Stone, "'Houses of the Holy' is unlike anything that anyone was doing... It's just something that's totally of its own. I think the lyrics are brilliant on it." The rest of the reissue includes rough mixes of "In My Time of Dying" and "Trampled Under Foot" (titled "Brandy & Coke"), a Sunset Sound mix of "Boogie With Stu," an early version of "Sick Again," and a rough orchestra mix of "Kashmir" that's titled "Driving Through Kashmir." It also features what the band has described as a "strikingly different" take on "In the Light." 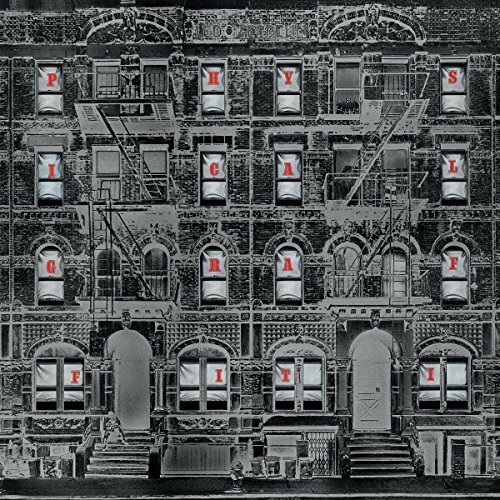 You can pre-order Physical Graffiti on Amazon (Super Deluxe Box Set, Vinyl, CD, MP3) or iTunes. For Led Zeppelin's latest music, news, and tour dates, check out their Zumic artist page.